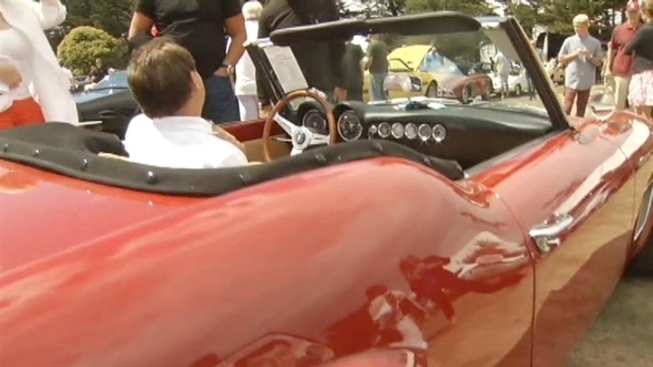 Iconic car was auctioned off this weekend. Call Cameron -- the car's just fine. The classic and rare red Ferrari replica that served as a focal point for much of the legendary '80s movie "Ferris Bueller's Day Off" runs great, and was sold at auction Saturday in Monterey. Three versions of the car were used in the famous scene where the expensive car is driven through a plate glass window and crashes into the ground. (A scene that had to be filmed nine times). None of them were real 1963 Ferrari California Spyders -- but rather replicas made by a company called Modena. And they still perform. The car's builder says that unlike other "movie cars," it's not built just for looks. The car puts out 500 horsepower and has been meticulously repaired and restored from its filmed fall (the front suspension took a beating). The car was expected to fetch around $250,000, according to one estimate, which proved about right. The car was sold at Mecum Auctions on Saturday.